TimePlus is another new contender in the Android Table industry making an initial break in the market by offering so affordable, the TimePlus 7-inch Android 4.0 tablet, price tag online at P3,999. No info so far regarding the manufacturer of this tablet. My assumption is its likely made in China / Korea assembled in PH. This breed of tablet is said to be the coming Amazon-Kindle killing tablet in terms of price and the ability to upload unlimited eBooks in various formats for free. The Timeplus 7” Android Tablet features Google’s Android 4.0 OS with 7-inch multi-outch display, Cortex-A8 1.1GHz processor, Front & Back Camera, Built-in speaker and Wifi Wi-Fi 802.11 b/g.n connectivity. 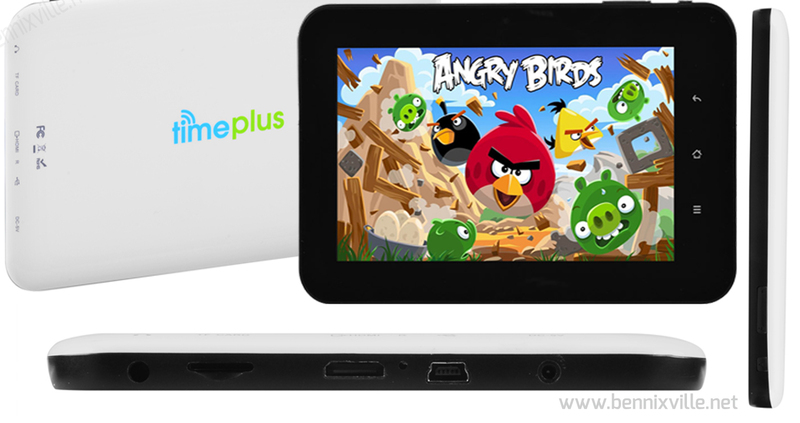 TimePlus 7 is almost specs is almost similar with iView 754 TPC 7 Tablet, Coby Kyros MID7032 7” Tablet ( but much cheaper), and Kingcom’s JOYPAD C82 Tablet. *Add games and more from the AppStore. Expandable up to 32GB Max. The Camera is not really impressive but if you are looking for a budget-saving and useful casual tablet then this fits for you.